The whole school was treated to an excellent array of dramatic talent and skill in our annual drama competition. 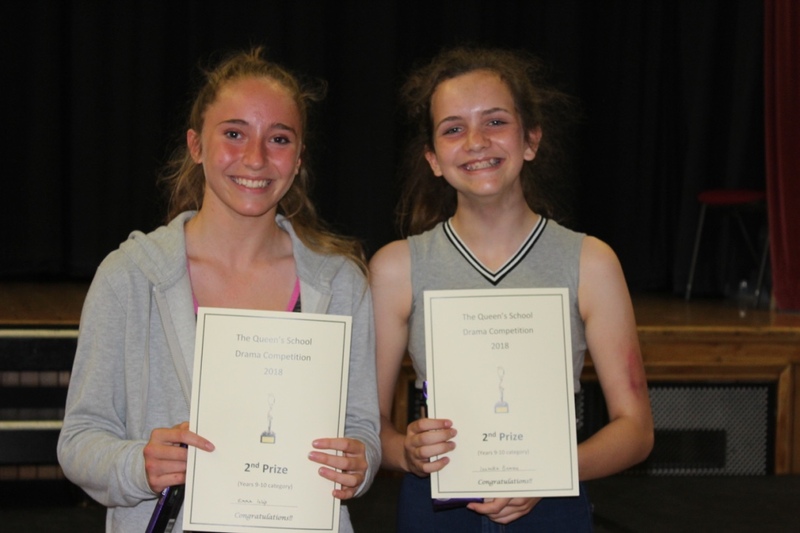 During the morning, all groups who had entered were given the opportunity to perform for our judges Mrs Band, Mrs Larder and Eira Fearnall, our Drama Captain. The stimuli for their drama pieces were six short scripted extracts of which they had to choose one and incorporate it within their performance. 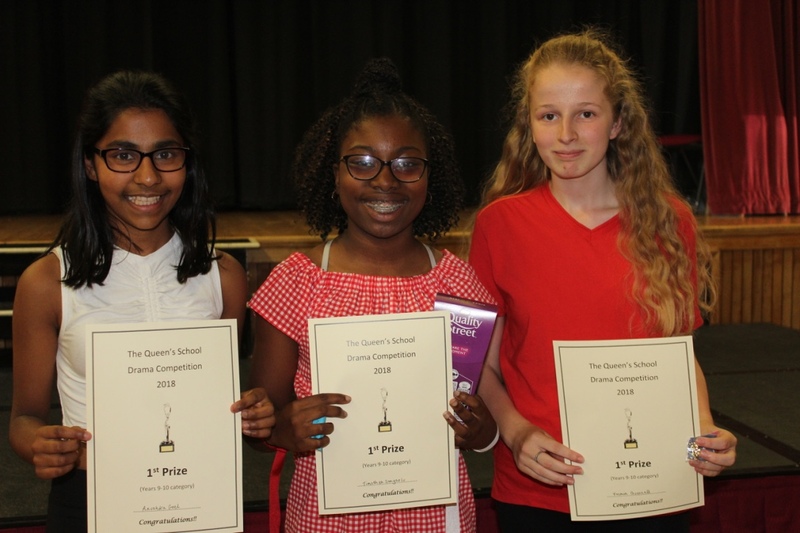 The judges were impressed with the range of skills and variety of genres the girls had chosen and all competitors must be congratulated on their hard work and enthusiastic participation. 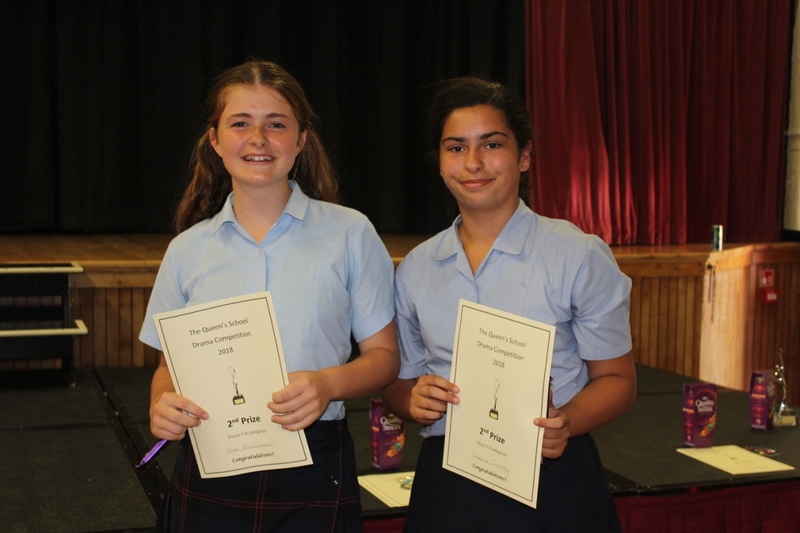 In the afternoon, our eight finalists from both the Y7-8 category and the Y9-10 category performed in front of the whole school. There was serious, thought provoking drama, light hearted comedy and laugh out loud melodrama! Each category had a runner up and a winner plus an overall winner. Massive congratulations to all our competitors and winners! We are so proud of you all and thank you for ending another fantastic year of drama on such an impressive scale! 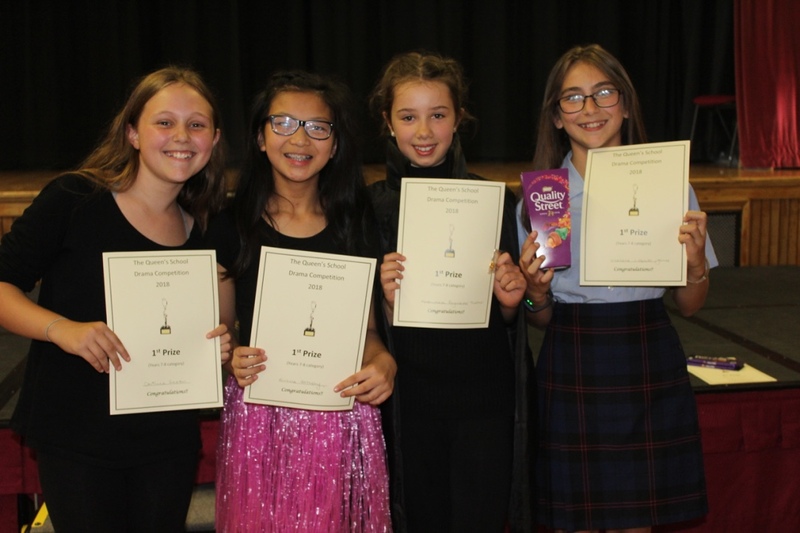 OVERALL WINNERS OF THE NATALIE DOYLE CUP FOR DRAMA: The jigsaw of letters - Ella, Caroline, Anna and Anna.